Dropbox is one of the popular online cloud computing service that provides free space to store data online. 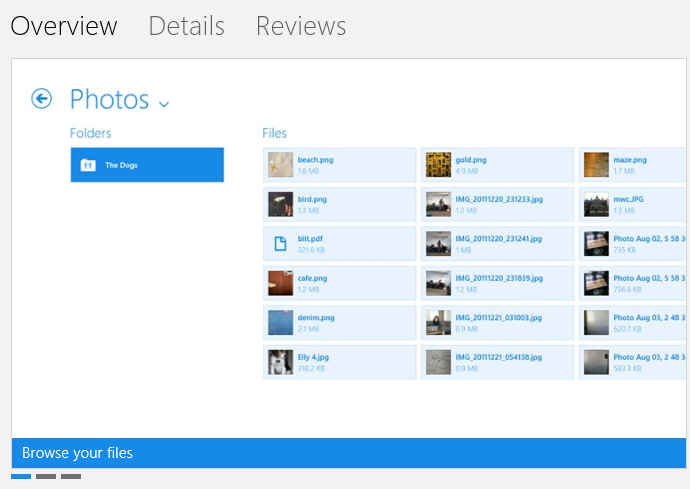 Now they released a new app for Windows 8 available now on Windows store, to use Dropbox account free. You can easily browse your files, preview pictures and watch your videos stored on your account. With this Dropbox App, you can share your files and pictures to social networking sites like Facebook and Twitter. Let's see what other features in this app. * Open, edit and save files from other Windows 8 apps. * Share files to email or social networks through Windows 8 share charm. * Search your files through Windows 8 search charm. One of the main disadvantage of Dropbox app is no upload feature to upload new files. We hope this will be rectified soon with next updates. To create a new account on Dropbox , Click here. Read Also : How to Protect your Dropbox Account with 2-Step Verification? I have got this info to my mail coz I was a drop box user but I didn't care about it that time. After reading your post I have decided to continue using drop box. Thanks Ponmalar!